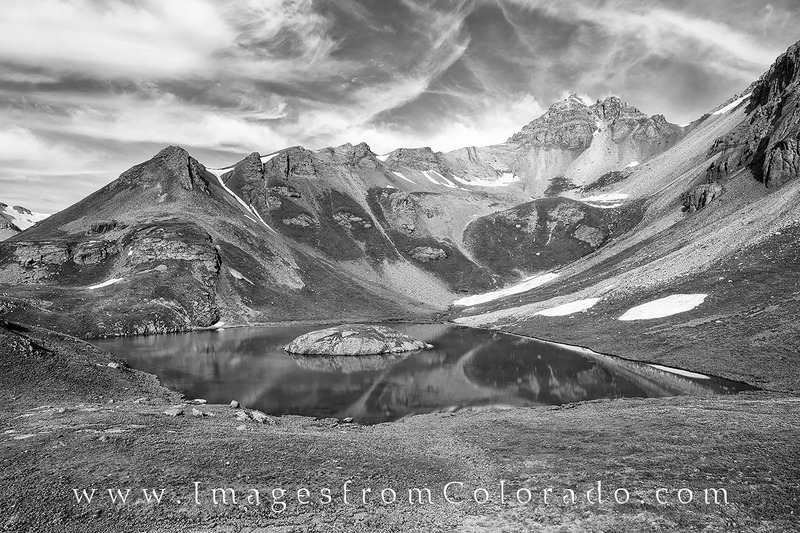 Island Lake is a beautiful area in the San Juan Mountains near Silverton. The trail to this area is about 5 miles each way and makes for a good day hike. I was on the trail well before sunrise and arrived here before anyone else. Having this moment to myself for a few moments was amazing, and the clouds added to the drama of the morning. On the way down, I passed several hikers and enjoyed wildflowers of all colors. Not a bad way to spend a morning! Photo © copyright by Rob Greebon.